Odessa, & New Tampa, Oldsmar. 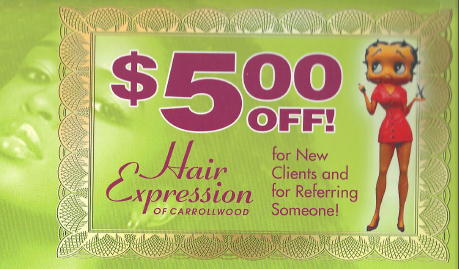 Hair Expression of Carrollwood is a full-service ethnic beauty salon offering keratin treatments, nails, braiding, relaxers, and hair extensions in the Tampa, Florida area. 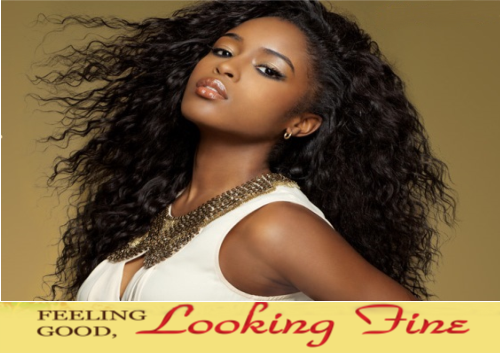 Geared toward today's woman, we have the skills needed to help you maintain and enhance your luscious, natural hair. Over our more than 30 years in business, we have become one of southwest Florida's Favorite Salons. We also keep our staff up-to-date with the education about the latest products and training in the newest techniques. Contact us at our beauty salon today for exceptional ethnic hairstyles, nail care, and day spa services. Thank you for visitng with us. For questions or comments, please use the information listed here. We look forward to hearing from you soon. If you would like to join our friendly staff, we offer booth rentals along with commission based opportunities. Contact owner Theresa Henry at (813) 846-4175.